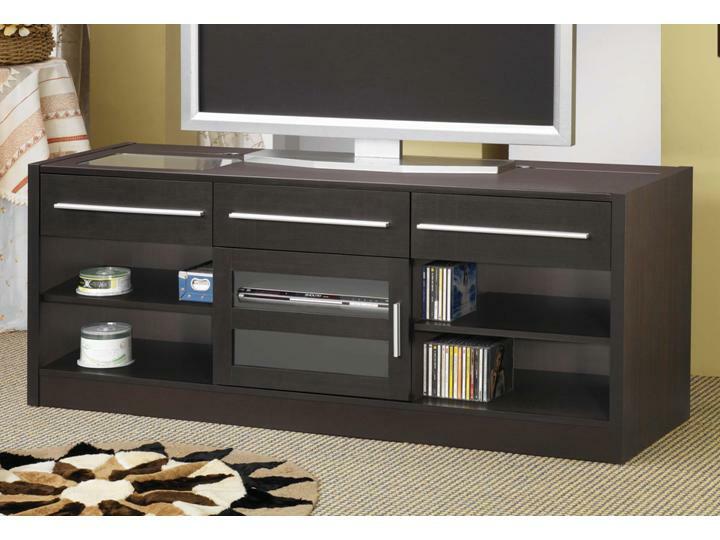 Enjoy modern style and functionality for your living room and essential electronics with this TV console. 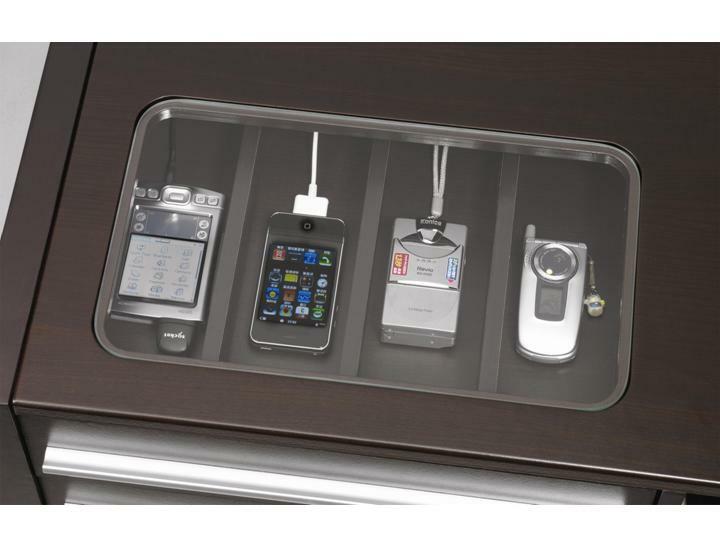 Featuring a versatile Cappuccino finish, the TV console, features the CONNECT-IT power drawer to charge cell phones, cameras, and MP3 players, storage drawers for your media collection, and cabinet space for all your digital entertainment components. 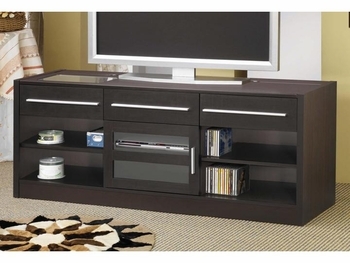 Contemporary hardware and easy access wire management complete this great TV stand. KD Construction: this item may require assembly.